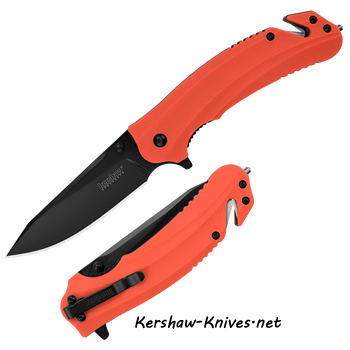 Kershaw Barricade 8650. Rescue knife to the rescue! 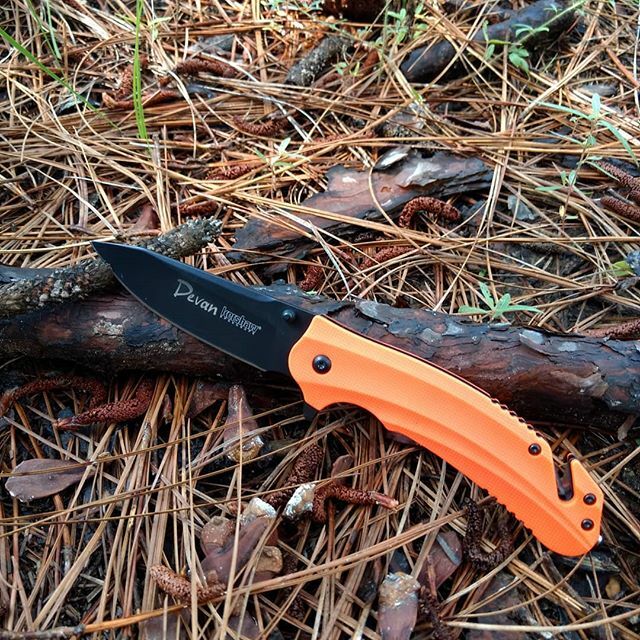 This bright orange knife is ready to rip off belt seats and cut your lose in times of emergency. The end of the handle has an opening where you just cut the cord or belt. The blade is covered with a black oxide coating, 3.5 inches long and made of 8Cr13MoV steel. The handle is 5 inches and made of Glass-filled nylon material. Pocket clip is black and right, tip-down only position. Glass breaker on the end of the handle. For all of life's little emergencies- make sure you have your Barricade ready.